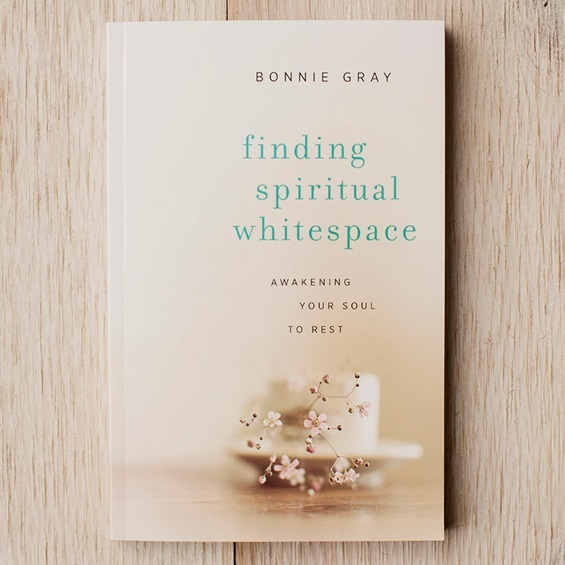 Bonnie Gray is the soulful author of Whispers of Rest and Finding Spiritual Whitespace. An inspirational speaker and retreat leader, she has touched thousands of lives through storytelling, visual arts, nature, prayer and meditation. Bonnie’s writing is featured on Relevant Magazine, DaySpring (in)courage, and Christianity Today. She lives in California with her husband and their two sons. 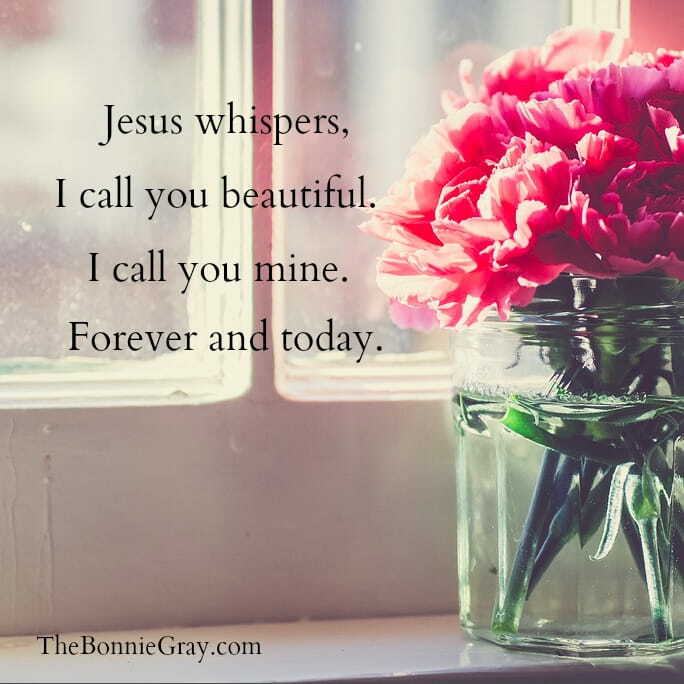 Visit Bonnie at www.thebonniegray.com and connect with her @thebonniegray on Facebook, Instagram, Twitter and YouTube. I went to bed like I always had, ate dinner with my chopsticks and brushed my teeth just fine. The next morning, I got dressed and drove into work as usual. Logged into my account and started checking my emails. Needles of pain shot through my wrists. My fingers felt numb and tingly, like they'd fallen asleep. Confused, I tried to mouse and click around. My forearm started hurting even more. My fingers refused to hit another keystroke. Two hours later, I found myself sitting in front of a doctor who specialized in treating work related injuries. "You won't be going back to work for a while. You have RSI (Repetitive Stress Injury). Might be carpel tunnel syndrome. We won't know yet, until you get some therapy." How long will I be out? I asked, thinking a day or two. When it all was said and done, combining full and partial disability, my road to recovery took nearly three years. When I first started physical therapy, I was very optimistic. I was determined to heal fast. Take my meds, get my therapy, do my exercises and wear my wrist braces. The problem was healing isn't a linear process. I was progressively hurting more week after week. My pain extended to my upper arms, my shoulders, neck and even my back. Was I just falling apart? My physical therapist Tom educated me. You're actually getting better, even if it feels like you're getting worse. Tom drew a swirl of concentric circles on his note pad. He said that healing is like peeling an onion. He said that I had ignored the fatigue initially in my muscles so well, that it caused my body to compensate in other areas. Pain, Tom explained, was a healthy indicator that my body was finally speaking to me. My path to recovery was to swirl out first -- to understand exactly how far my injury went. Tom gently pointed out that as one muscle group got better, I would start feeling the pain in other areas that had been masked on top of the other. I have found myself in the same condition for many Easters. I wanted so badly to celebrate the joy of Easter Sunday resurrection, I ignored the layers of stress and unanswered questions from my everyday life. Don't get me wrong, I've been filled with joy for Jesus on Easter Sunday, in praise and thankfulness for the sacrifice and love He poured out for me on Good Friday 2000 years ago. I am always brought to tears meditating on the suffering our Lord endured emotionally, physically and spiritually by taking up the cross. But, I was often heart heavy waiting to taste the power of resurrection in some difficult circumstances. It seemed whenever I thought of Easter, I thought only of Easter Sunday -- the celebration of resurrected life -- or Good Friday -- the death Christ suffered on the cross. I forgot that the journey of Easter includes the Saturday In-Between -- for Jesus -- and for me. "Saturday... It seems like a day when nothing is happening. It's a day of questioning, doubting, wondering and definitely waiting...helplessness or hopelessness. Is it possible that Saturday is actually a day of preparation? ... Saturday was the day God was engineering a resurrection." This year, I'm celebrating Easter Sunday with a lot of my story resurrected from my "Saturday" life. Not in a way where everything has worked out. A lot of the questions I've been asking for a very long time haven't been answered. In fact, some of the problems I've asked God to solve haven't gotten better. But, I have learned one thing through my time in this extended season of waiting. That one thing is this: Jesus' love continues to be one thing I can always say yes to. In lieu of answers and resolution, we can continually make a choice. Do we let our pain and hurt shape my faith -- or do we take our faith and run into the arms of Jesus? This has been my greatest joy: Not that my life is perfect, but that I can choose love -- because Love chose me. 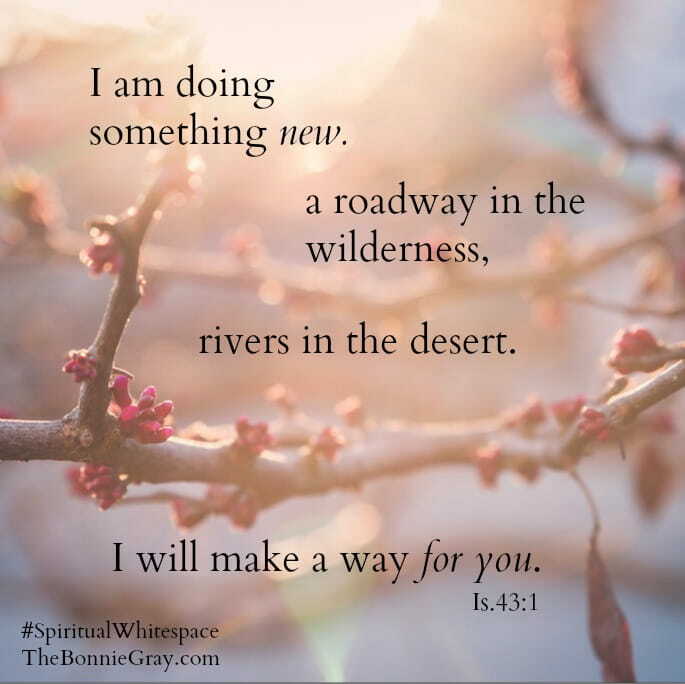 I've been able to find when I couldn't possibly wait any longer in dissonance and lack of closure -- the love of Jesus continues to heal me, carry me and attract me to Him. I can continue choosing to love God, love others, and pour myself out -- even in weakness and imperfection. All because Jesus loves me. I had given up hope of ever getting better. Then I got up one day, not feeling any pain. But, it took me many years to get to that one morning. I will always remember who got me through it. It wasn't hope in recovery. It was hope in Jesus. I don't know how long our Saturdays will last, friend. But one thing I do know, Jesus has walked that Saturday into eternity for us. His love will never leave us and His love will get us through to our Easter Sundays. He knows all about the Saturday-in-between. And He won't leave us all alone in that time of waiting. Choose God's whispers of hope. Easter is coming alive in you. He loves us all the way. Today. and make you strong, firm and steadfast." How is Jesus speaking to you this Easter? * Who can you share today's encouragement with? 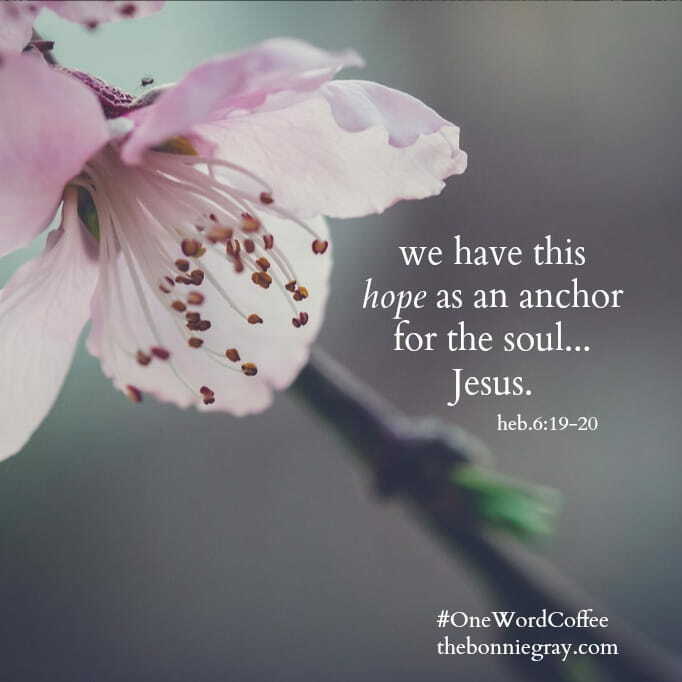 Bonnie Gray blogs at Faith Barista, serving up shots of faith in the daily grind. 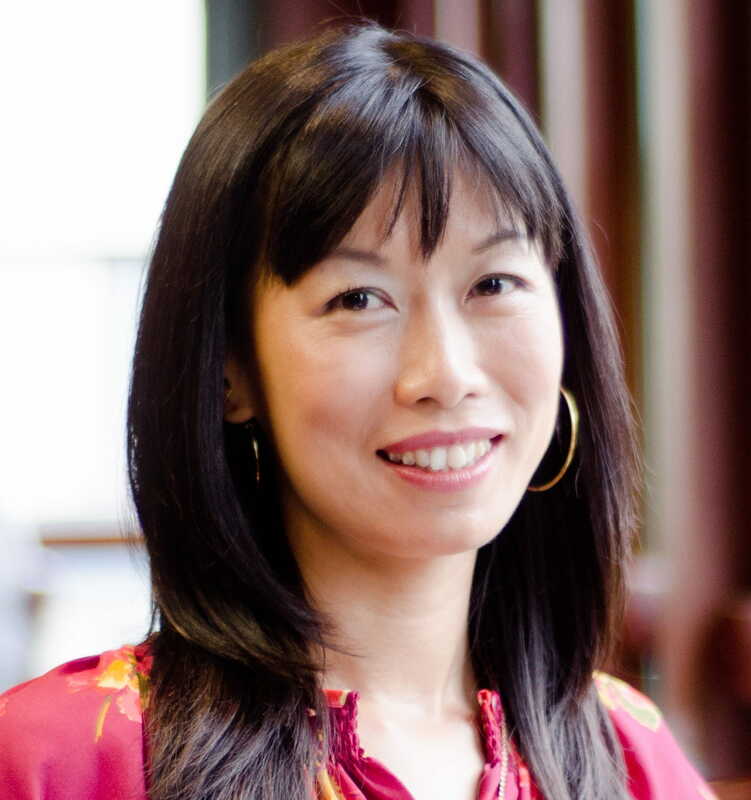 She has been named Top 6 Notable New Religion Authors by Publisher's Weekly and writes for DaySpring (in)courage, Revelant Magazine, spotlighted by Christianity Today and Catalyst Leadership. A UCLA graduate, Bonnie served as a missionary, ministry entrepreneur, and Silicon Valley high-tech professional. She lives in California with her husband, Eric, and their two sons. *Don't miss! 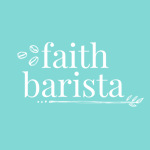 * If you are new to Faith Barista, click here to subscribe by email (free) and get each blog post hot and fresh directly in your mailbox. "See, I am doing something new. Now it springs forth. Something happens when you find yourself lying on your bed unable to fall asleep. Not just for one or two nights. Sometimes, life enters seasons of uncertainty and trials that keep you up and your heart restless. Life may not unfold the way you thought it would. You try hard to remember who you once were, searching your heart for glimmers of what it was that made you once feel alive. Young, innocent, refreshed. I am here. Making a way. For you. With you. And you begin to cry. Because you miss the nearness of God's tender touch. I found myself in too many restless, sleepless moments, for a long season during my journey to find rest in Spiritual Whitespace. But, as I laid there, I found in that pit of darkness something beautiful and true. I found I could remember goodness. And it told me that it was in me once. It told me that it had to still be in me now, even though I felt wounded. I chose in that moment to believe that goodness was my faith, still breathing in me. The fact that I longed for goodness and hungered for it told me that nothing -- not even my woundedness -- could destroy and rob me of those memories. That Goodness had a name. It was God's Holy Spirit, alive in me. And that remembrance and longing for it was the movement of God's fingers soothing my heart. They were hands of Someone who understood how being wounded led Him to remember all that captured His heart. One dark day. The darkest moments Jesus found Himself -- as I think about Him this week -- are found in three words -- spoken after Pilate washed his hands, released Barabbas, and had Jesus flogged with a 'cat of nine tails'. It was a whip divided into several strips, each containing shards of broken pottery at their ends, enabling them to cut skin and tear flesh from bone. Most Roman prisoners didn’t live through these beatings due to shock and loss of blood. Third-century historian Eusebius described the process in grotesque detail by saying, ‘The sufferer’s veins were laid bare, and the very muscles, sinews, and bowels of the victim were open to exposure." Jesus somehow although crippled by such physical torture survived -- and had to endure even a deeper wounding. I was drawn to this moment made up of three words found at the close of this scene. ...Then he released Barabbas to them. Jesus was handed over. I can hear Jesus crying, not out of fear, but out of physical -- and emotional pain. He was abandoned. Completely given up by everyone. There is no place we can find ourselves, where Jesus will not go. Jesus gives us a home -- with him. In us. His love makes a way. God can make a way. For you. I love you. I won't leave you. Lean in. I will make a way for you. Even in our woundedness, Jesus still loves you. And me. Passionately. Irrevocably. Shamelessly. Undeniably completely. I began to desperately pray for courage instead. To lean in. To move towards the longing I still carried of beauty. Of goodness. That desire became my silent prayer to God. No matter how whisper-thin, imperfect or insignificant our movements forward might be, God will make away for us. Today. No further than just the one step He's calling you to take. Today. As you move forward with just one step today, we surrender ourselves to the One who has been handed over -- until His last breath made a way -- to you and me. You and I don't ever have to be handed over and lost in the brokenness of life. Jesus puts his hand in ours, to draw us towards Him. So He can carry us. All the way. God can make a way to us. With us. No matter where the journey of life takes us, we become the living stories of what it means to be cherished and beloved by Jesus. Don't let anyone or the hardness of the journey convince you otherwise. Life will never be the same. Let's follow this journey through. To take just the one step you're inviting me to take. Today. To trust you'll make a roadway in the wilderness. Even though I can't see how or when, I surrender myself to your love. Take a moment to be present in this moment. What is one word that speaks to you in today’s verse? What is one thing God is inviting you to step into today with Him? What one word in today's scripture speaks to you? What one word speaks to you in today's scripture? Pull up a chair. And share a comment. "My soul is overwhelmed with sorrow to the point of death. During my season through anxiety, I was very sensitive to loud music . But since my breakthrough in therapy a couple years ago, I got an idea. I had always wanted to go to a Gungor concert and they were in San Francisco one week. So I texted our babysitter and found myself standing next to my husband Eric on one side and some twenty-something girls on the other. We had an hour left to kill. I found out both girls were seminary students. "So, what're you studying…? What's next?" You might think people who look happy and perfect wouldn't have hard stories to share. But, they do. The blond-haired girl with blue eyes tells me, half-yelling across the drone of concert goers, "I'm not really sure what God wants me to do. I've told Him I'll do whatever He wants me to do." She pauses. "But, I feel like I've been wandering." Blue-eyed Girl tells me she's been hurt. She's run into dead ends when she thought God had been opening doors. The old me, pre-PTSD me, would've given her some cheerful advice. Safe words. But, now I see everything differently. When the world we live in doesn't match the dreams we thought God put on our hearts -- don't we all feel a little lost? When we step out and try to be ourselves -- and offer something authentic and real -- and find out someone doesn't think it's good enough -- don't we all wonder who would stay? And when we have to face something hard -- but we don't know how long the journey will take -- and we want to give up -- but we can't go back either-- don't we wonder why God is silent? We ask, "Is there any other way?" These are the same words Jesus found himself whispering in a garden one night in Gethsemane into thick silence. While wave upon wave of questions poured out of Him. And the dilemma of turning left or right was both as painful as it was unwanted. There was no way out. Jesus had often prayed alone. And yet, on the worst night of his life, Jesus tells us he needed someone to hold onto the hard moment. Jesus didn't have a timetable, to know how long the journey of the cross would take. How long the beatings would last. How long he'd have to drag the cross inch by inch, with lashes bleeding cut deep in his back. He didn't know how he would feel yanked around in chains, from one place to another, in sleep deprivation. Jesus had never, ever experienced the feel of spit on his face while He shivered in the cold alone. The overwhelming anxiety of the unknown, but the certain pain and fear of what was to come brought Jesus to his knees. Right where you and I sometimes have to go, when we don't know what to do. Overwhelmed, anxiety ridden, Jesus turned to those closest to him. Jesus became vulnerable and let his disciples see him, as desperation filled the pit of his stomach. "My soul is overwhelmed with sorrow to the point of death. 'Stay here...with me." Jesus asked someone to stay with Him that night. Jesus needed someone to stay. The Scriptures tell us that Jesus was so overwhelmed with anguish that his sweat was like drops of blood falling to the ground. Could Jesus have been experiencing panic attacks? If you've ever had one, you might never see that night in Gethsemane the same way ever again. This was how Jesus spent His final moments of solitude. The calm before the storm. Stay here… with me. He asked. Jesus is intimately familiar with the pain of a journey unresolved -- right in the middle of it. Yet, unlike me, Jesus did not yield to temptation. Jesus, instead, yielded to the journey. We don't have to be alone anymore -- even when we fail to yield. Especially in the moments when we want to, but we don't know how. Jesus suffered for us. So He can stay. Jesus suffers with us, in the middle of it all. With you and me. Having Someone to hold on to. Changes everything. Having Someone love you in the waiting -- in the suffering. Changes you. Love heals. I looked into Blue-eyed Girl and said, "You know, I think we're all wanderers in this life. We're all on a journey. Maybe wandering is living out faith. Maybe the best gift we can offer to others wandering in this world without hope is to walk as a wanderer with them -- except with hope. Maybe being willing to wander with Jesus is one of the sweetest gift we surrender with him." Blue-Eyed Girl gave me a big hug. "Thank you," she smiled, as she squeezed my hand. So you don't have to walk alone anymore. I call you beautiful. I call you mine. Today.